Consultant Plastic Surgeon Dr Siún Murphy at Dublin's Blackrock Clinic (drsiunmurphy.com) explains: "Many environmental pollutants are small enough to enter the skin and essentially wreak havoc on our skin's barrier system and cause damage at a structural level, meaning accelerated ageing, pigmentation, discolouration and premature ageing. Pollution essentially causes an inflammatory response in the skin, exacerbating skin issues such as rosacea and acne." 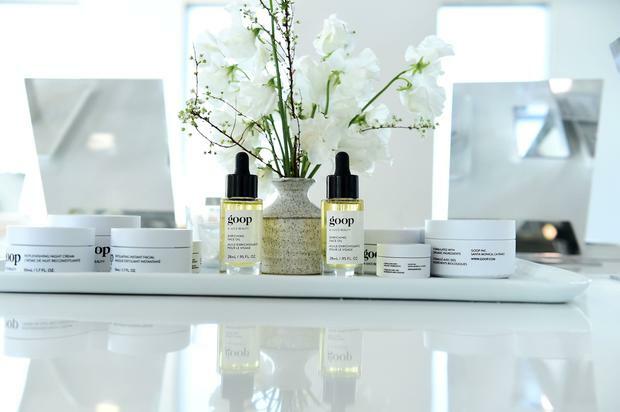 Anti-pollution skincare also tackles skin damage from UV rays and HEV - the blue light from our screens that more and more research is proving is ageing to our skin. "We know about the damaging effects of UV rays, but the latest skincare technology incorporates protection against environmental pollutants using antioxidants. And new sunscreen technologies now use HEV protection which protects against blue screen and high energy rays, which are now also known to damage our delicate skin structure," Dr Murphy says. So, what's the best way to counteract pollution? In a nutshell, if you follow a good skincare regime every day you're already well protected. Using an antioxidant serum (which acts like a sponge for your skin and mops up the free radicals present in polluting particles), a daily sunscreen and a having thorough cleansing routine is the best way to beef up your skincare against pollution. However, if your skincare routine is a little lax, and you're a city dweller working in front of a screen most days, then investing in some anti-pollution skincare could be a great move for you. Nearly every major beauty brand has launched anti-pollution products in the last few years, as the demand for 'defence' or 'shields' and 'city skin' skincare products rose. Again, it comes back to those skincare 'sponges', antioxidants, and a great SPF. My own personal favourite anti-pollution skincare pick is the SkinCeuticals Phloretin CF Serum, €149, which I wear under my usual moisturiser. I love a multi-tasking beauty product, so I also want to give a special mention to my foundation - Kiehl's Daily UV Defence Anti-Pollution CC Cream SPF 50, €36. This gem is not only a beautiful foundation with good coverage, it also has SPF 50, anti-pollution skincare technology, is super nourishing on the skin, and is free of any chemical nasties. A one-stop shop for skin protection! ⬤ Other brands that have launched anti-pollution skincare products include Avène, Shu Uemura, Elizabeth Arden's Prevage City Smart range, Clinique, Kiehl's Pollutant Defending range, REN Flash Defence Anti-Pollution Mist, Nivea Urban Skin range, Elf Cosmetics Beauty Shield Range, Academie Anti-Pollution range, Drunk Elephant, bareMinerals, Payot, This Works and Vichy. Deep cleansing is a major part of any skincare routine, but especially if you live in a city. Masks can give us a dig-out when our skin is in need of some TLC. Urban Skin is a new range from Nivea that is aimed at keeping skin pollution-free. Its Urban Skin 1-Minute Detox Mask purports to use the cleansing and detoxifying properties of clay and magnolia extract to draw out and capture impurities such as dirt, oil, and pollution. Any cleansing/detox mask will work here, it doesn't have to be branded as 'anti-pollution'; the magic with this mask is that it does its job in one minute flat. NIVEA Daily Essentials Urban Skin 1 Minute Detox Masks, €8.99, from pharmacies nationwide. Skin misting is a massive skincare trend in Asia that is only beginning to take hold in Europe. This mist can be used over make-up and is said to work by binding the metals in pollution to stop them penetrating our skin. It also provides an extra barrier layer to our skin to help keep the environmental aggressors out. This would be a brilliant investment in summer as it's also cooling and restores the natural pH balance of the skin. Verso Anti-Pollution Mist, €50, from Arnotts and Space NK.